Comment: Repair brick coming away from house. We would like to meet with contractors the week of October 29. Comment: I want to create two patios and a walkway using 4" X 8" concrete pavers. I have purchased the pavers, not the sand or base material. 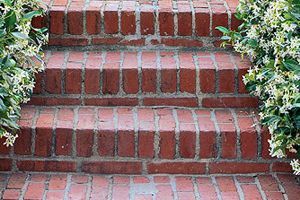 Comment: I need to have approximately 2300 4" X 8" brick pavers installed. We have purchased the pavers, not the base. Piney Flats Brick & Stone Masonry Contractors are rated 4.78 out of 5 based on 29 reviews of 3 pros. Not Looking for Brick & Stone Contractors in Piney Flats, TN?